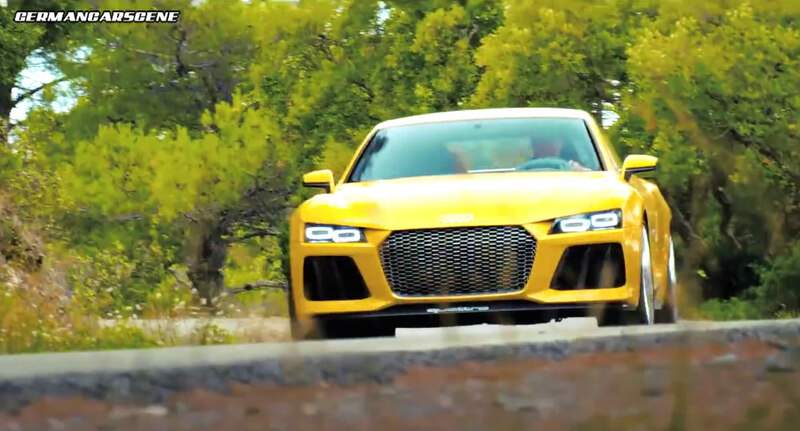 According to reports, Audi’s stunning Sport quattro and Nanuk concepts may well reach production. Although not yet confirmed, Audi UK’s director André Konsbruck said that the company thrives on special projects and cannot restrict itself to building regular vehicles such as the A3, adding that both concepts were currently under evaluation, internally and by its customers, for their potential production viability. “I can see a future where we aim to deliver different, innovative premium cars that people aspire to own, such as these. They will be niche, and they will push our price ceiling, but they deliver on the brand image and build the desirability of the brand as a whole,” said Konsbruck. Here’s a great Porsche 918 Spyder review from Autocar, which has Steve Sutcliffe asking if it is capable of outshining the magazine’s current favourite hypercar, Bugatti’s 882 kW (1183 hp) Veyron Super Sport. Tipping the scales at 1640 kg, the plug-in hybrid hypercar is constructed around a carbon fibre reinforced plastic (CFRP) monocoque interlocked with CFRP unit carrier, a two-piece Targa roof and fixed roll-over protection. At the heart of this innovative machine is a 453 kW (608 hp) 4.6-litre V8 engine, which is based on that of the LMP2 RS Spyder race car and is backed up by a hybrid module at the rear along with a electric motor powering the front wheels. When using electric power alone, top speed is 150 km/h (93 mph) with a range of 25 kilometres achievable – depending on driving style but, with the full 661 kW (887 hp) a its disposal, 100 km/h appears in 2.8 seconds and 200 km/h in 7.9s, while top speed is 340 km/h (211 mph). Just 918 examples will be built, with prices starting at 845,000 USD (€633,000) for the base model, rising up to 929,000 USD (€696,000) if you specify the Weissach Package. 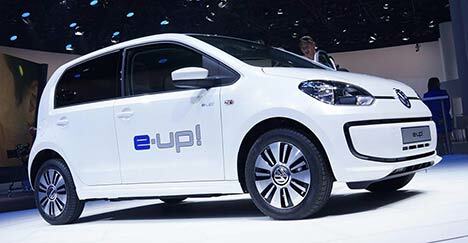 Volkswagen UK has announced that the order book for its e-up! will be opened on Monday. 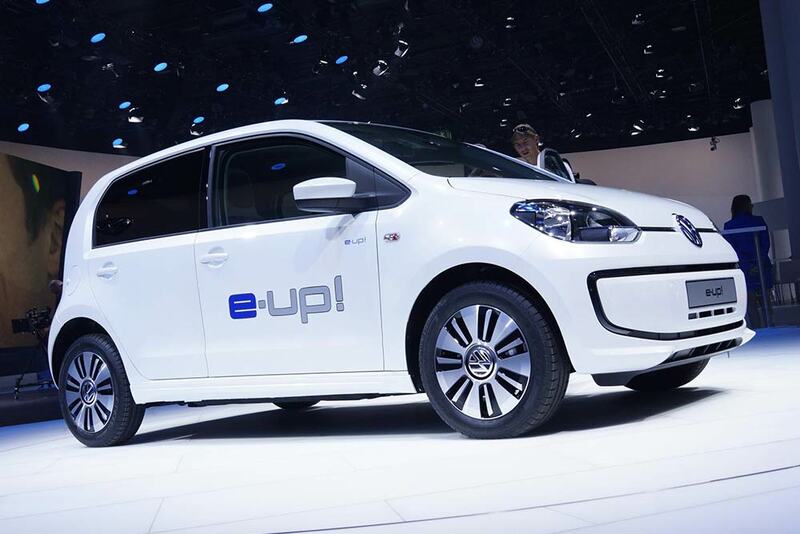 Priced from £19,250 following the £5,000 Government-backed subsidy, deliveries will begin at the end of January. A three-year warranty comes as standard, with an optional one or two year extension, while the battery comes with an eight-year, 100,000-mile warranty. With an underfloor-mounted 18.7 kWh lithium-ion battery feeding the electric motor, continuous output is 40 kW (54 hp) with a peak power figure of 60 kW (80 hp) achievable, while the 210 Nm of torque is available from the first revolution. On the road, 100 km/h appears in a respectable 12.4 seconds before the silent citycar hits its top speed of 130 km/h (81 mph). 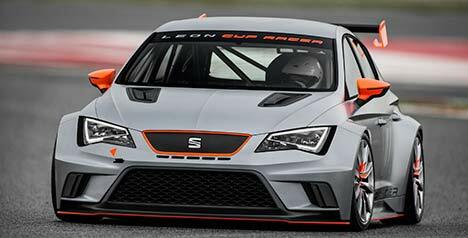 SEAT has announced a new one-make racing series based around its striking Leon Cup Racer. With the exact race calendar to be released before the end of the year, SEAT confirmed that the season will begin next May and cover six racing weekends. Spanning six European countries, each weekend will run from Friday to Sunday, including two free training sessions for set-ups etc, followed by qualification, and two races. A substantial prize money pot has also been promised. “Motorsport is deeply embedded in our brand. SEAT has more than 40 years of history here. With the SEAT Leon Eurocup, we offer an interesting opportunity for our motivated customer teams and our enthusiastic fans all over Europe,” said SEAT’s Dr. Matthias Rabe. Based on the five-door Leon model, the Cup Racer is propelled by a two-litre, four-cylinder turbocharged engine, which sends 243 kW (330 hp) and 350 Nm of torque to the front wheels via a 6-speed DSG transmission and electronic differential lock. An endurance racing version, equipped with a lever-operated sequential racing transmission and mechanical differential lock is also available. 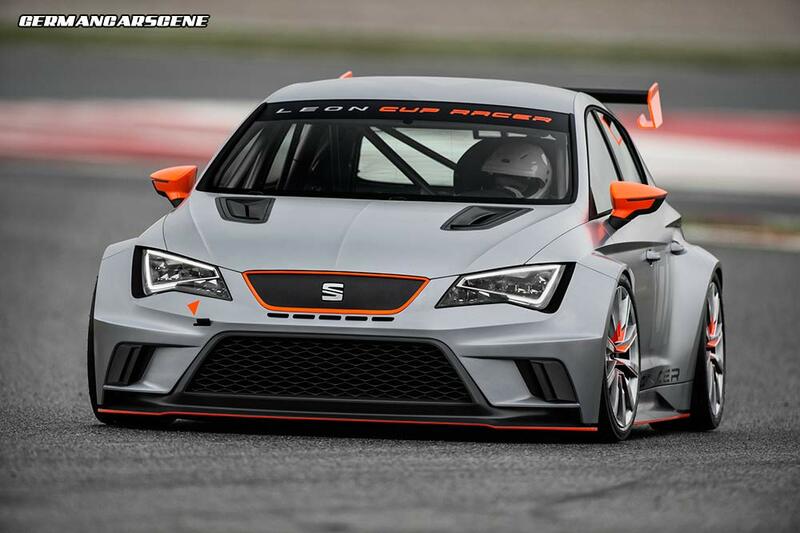 Customers can order the €70,000 Leon Cup Racer from today with deliveries expected to start in April 2014. 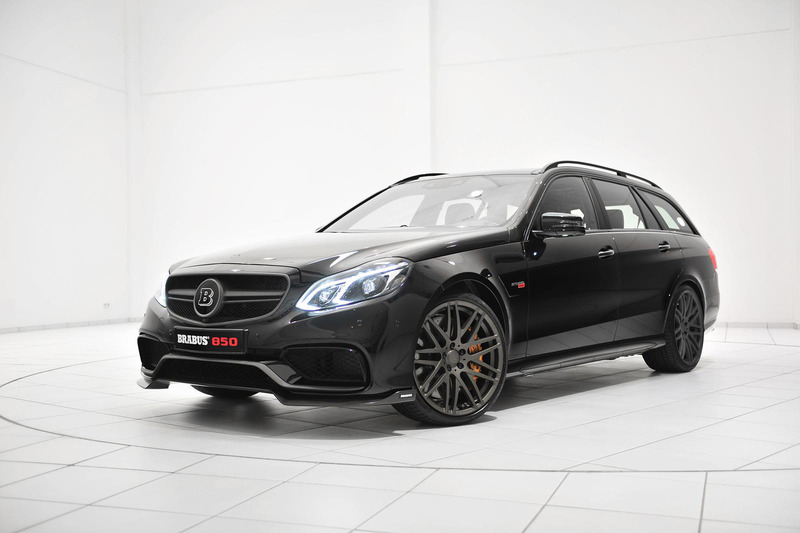 Brabus is set to reveal an Estate version of its insane 850 6.0 Biturbo Mercedes E 63 AMG at Essen tomorrow. Starting with the regular 5.5-litre bi-turbo V8 engine, Brabus’ 850 6.0 Biturbo program sees the cylinder bores taken out to 99 mm before the fitment of reworked cylinder heads, forged pistons, billet connecting rods and a billet crankshaft takes place. A pair of larger turbochargers along with a new stainless steel exhaust with adjustable butterfly valve also help to achieve 625 kW (850 hp) and a limited torque figure of 1,150 Nm – up from 410 kW (557 hp) and 720 Nm. With that power being transferred to the road via a modified AMG SPEEDSHIFT MCT 7-speed sports transmission, this high-powered E-Class enjoys a limited top speed of 300 km/h/186 mph (350 km/h/217 mph on high performance tyres) and a 0-100 km/h time of 3.7 seconds (4MATIC 3.1 s). Visually, Brabus adds a carbon fibre front spoiler and rear apron with finned diffuser section. There’s also a choice of the company’s Monoblock VI, F and R alloy wheels in a 20-inch diameter. Moving to the cabin, Brabus can reupholster the interior to suit any specific requirements, using materials including leather Alcantara, wood and carbon fibre, along with aluminum components such as pedals, door pins, longer shift paddles and illuminated sill plates. 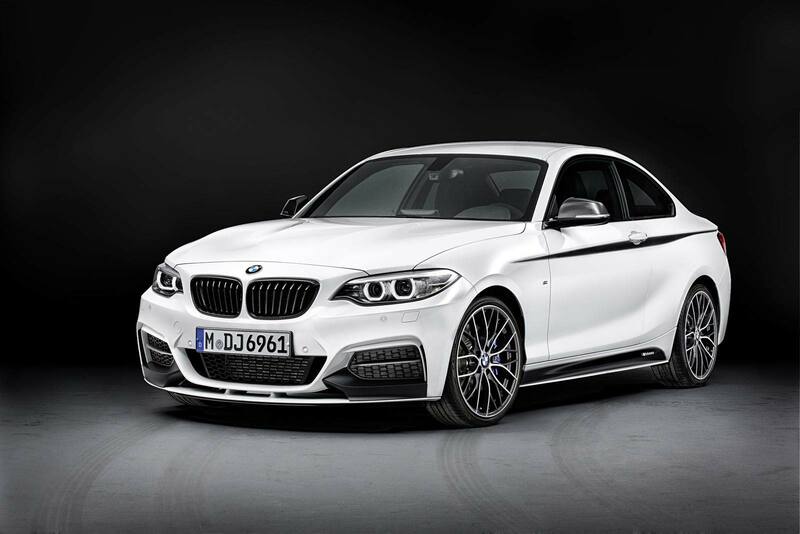 BMW has revealed its range of Performance Parts for the new 2 Series Coupe. Designed to supplement models fitted with the M sports package, the M Performance Aerodynamic Kit consists of an aggressively styled front apron, side skirts, a carbon fibre boot lid spoiler and rear diffuser section. Other pieces include black kidney grilles, carbon fibre mirror casings and side stripes. Moving inside, the cockpit receives an Alcantara-trimmed steering wheel with carbon trim and race display, and carbon interior trim with Alcantara for the dashboard, centre console, interior door grips, gearshift and handbrake grip. Floor mats and a stainless steel pedal kit complete the look. Mechanical upgrades consist of a Power Kit for the 220d, which sees output from the 4-cylinder diesel engine rise by 12 kW (16 hp) and 40 Nm to 147 kW (200 hp) and 420 Nm, while M235i owners can specify a limited slip differential and rear silencer with carbon or chrome tailpipes. Other components include a brake system using red, yellow or orange calipers, 19-inch forged alloy wheels in a choice of two designs and a sport suspension kit providing a 20 mm drop in ride height.